The real Scaramucci responded, “both of them,” apparently referring to Messrs. Priebus and Bannon. 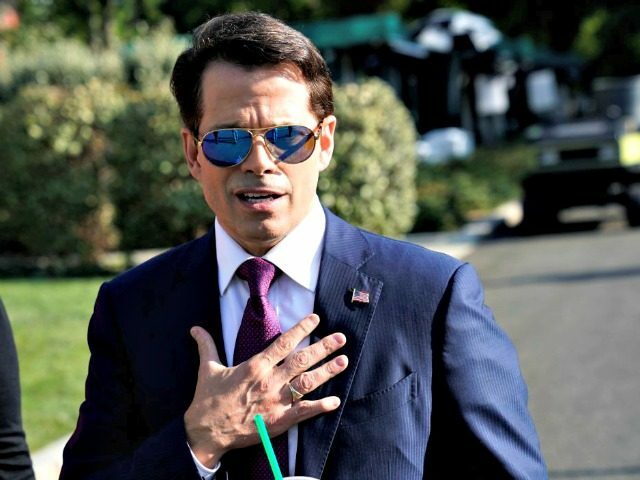 Three days later, new White House Chief of Staff John Kelly axed Scaramucci after the first week of his one-man reality show, which included a profane and off-the-rails interview with the left-wing New Yorker magazine, raised numerous red flags. Bannon and Priebus reportedly tried to block Scaramucci from getting the White House communications director job in the first place while Jared Kushner and Ivanka Trump supported Scaramucci. Scaramucci should have realized that the email did not sound like the genteel Huntsman who is known for talking about the “trust deficit.” In fact, Huntsman himself was reportedly tricked by the prankster with a fake Eric Trump email account after Trump announced that he had chosen the former Utah governor and failed 2012 presidential candidate to be his ambassador to Russia. The same prankster also reportedly duped Scaramucci with a fake Priebus email account on the same day.